1. What are the benefits of Loyalty Matters? For every $1 spent (on all but prescription items) 1 point is issued and after 100 points are collected a $5 voucher is issued that can be used on future purchases. It is free to join and only takes a couple of minutes to sign up. The program will also allow you access to special promotions in store and free entry into competitions to reward you for shopping with us! 2. How can I sign up? We can sign you up easily in store and issue your card straight away or you can take an application form home and bring it back next time you in and we can issue you your card then. 3. Can I earn points on everything? All over the counter items may have points earned including items on promotion. By law we cannot give points on prescription medications as these are already subsidised by the government. 4. How will my details be stored? Any information given to us or collected by the Loyalty Matters program will be stored securely and not sold on to any other party. 5. How do I use my points? Once you have reached 200 points a $10 voucher will be printed and you can use this on you next sale. Simple hand the voucher over and the money will be deducted from the total sale. 6. Can I earn/redeem points at any Capital Chemist Store? Yes! The system is linked across all Capital Stores as well as Capital Chemist affiliated stores, scan the QR code on the back of the card for store locations or look up the website capitalchemist.com.au. 7. Do my vouchers expire? It is recommended that voucher be used within 3 months after they are issued. 8. Will I still get my seniors discount? We value our senior customers and to show you how important you are we have a special senior’s loyalty matters card. It is loaded with a bonus feature where 2 points are issued for every $1 spent, allowing you to reach your voucher level quicker. This will replace the seniors discount previously issued as it is an equivalent discount. 9. Can my partner/children add points to my card? Yes, at the time your card is issued you are also given 2 key ring cards that you can distribute to family members for them to use if they are make purchases in store. 10. What if I lose my card? Replacement cards can be issued for a small fee. If you have just forgotten to bring it into store with you we can manually search the system for you and add points to your card. 11. What if I lose my voucher? The system will store the vouchers earned so if a voucher is misplaced we can call it up at the time of the sale and deduct the points from the sale. The system will then mark the voucher a used so if you locate the voucher is cannot be used again. 12. If I change my contact details or have an enquiry who should I contact? 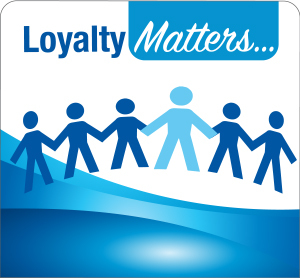 Any of the capital chemist or affiliated stores will be able to help with any enquiry you may have about the Loyalty Matters Program. For contact details go to the capitalchemist.com.au website. 13. Can I keep my card here at the pharmacy? So that you can access the program at any Capital or affiliated store it is easiest if you carry your card and show it each time you shop. 14. Can I cancel at any time? Yes, simply complete the loyalty matters unsubscribe form and return this along with your card to our friendly staff at your local Loyalty Matters Pharmacy and your membership will be deactivated. 15. Can I get loyalty points on for my online purchase? Yes. Any purchase online will attached the same loyalty points as if you are purchasing in store.